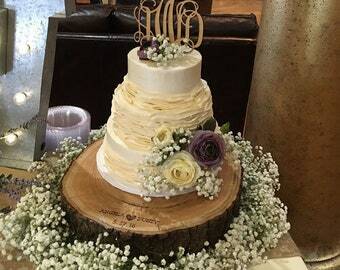 Select an option 6" 8" 10" 12" 14"
♡ This lovely rustic wood cake stand is perfect for your wedding! Display this cake stand in your home after the wedding or give it as a gift to the newly married couple! They look great on coffee tables, ottomans, or as a dining table centerpiece! 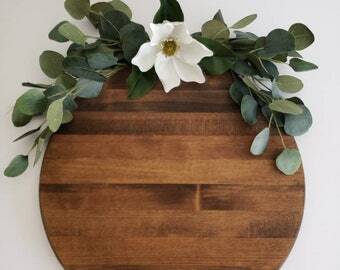 This minimalist cake stand measures 18" in diameter. Durable for any size cake! No pedestal needed- lays completely flat. 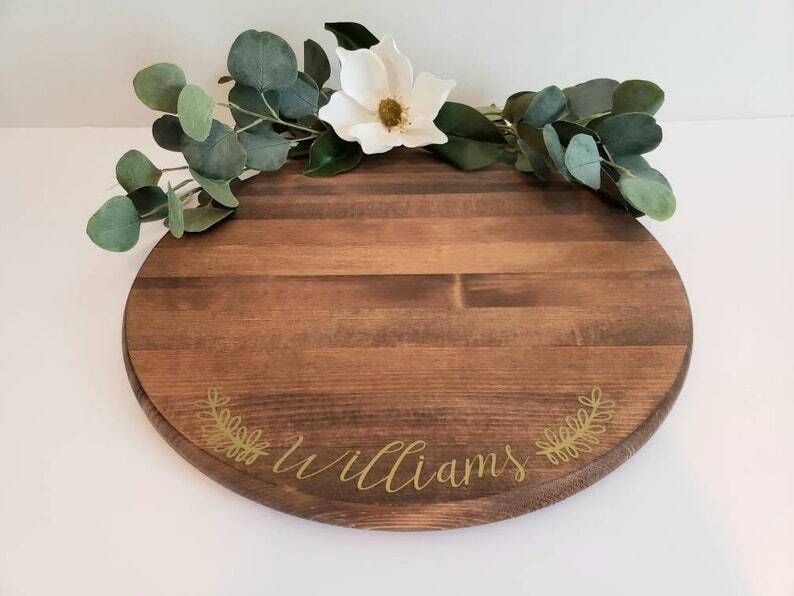 These cake stands can be personalized with your wording of choice! Please leave your wording choice in the personalization box. All stands ship within 1 week. If you need it sooner, please let me know! 1. Select if you want a plain stand or a stand with wording under "Finish"
4. Click "add to cart"
Each cake stand is made to order and variations in wood grain and knots should be expected.